i've emigrated for work recently. 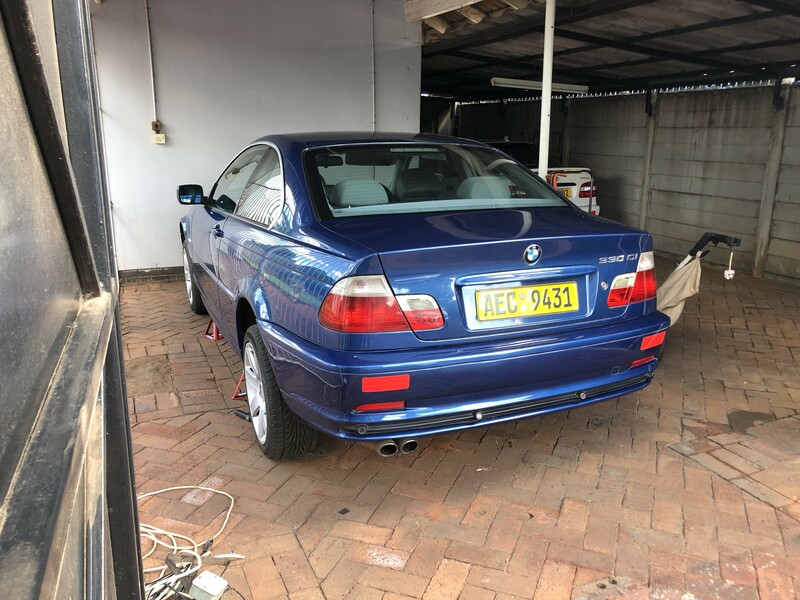 i've put in a crap tonne of cash into maintaining my E46 330Ci auto, and the resale values just dont seem to be worth selling it at the moment. im thinking of just parking it for a while until i can make a proper plan. i need some advice on long term storage.. for now i've had it parked on the ground for the last 3 months with the battery disconnected. i havent started it yet, but will charge the battery today and crank it this afternoon. i might not be back for another 4-6 months.. but im thinking of putting it on jackstands, getting a proper cover, and then putting rat poison around to keep the rodents away. depending how things go later on, i might have to take a hit and sell..but im trying to plan for the next year or so while im away. any advice would be appreciated. Axle stands is good, flush the brake system before putting away, refresh all cooling fluids, change oil. Car cover is good, but get a decent lined one they are around 3k, not the generic rubbish. Wash and seal your roof. Remove battery from car. Rat poison near the car might just attract rats into it and have them die in the car. i must be honest...if it were me and it were 4 months..id fill the tank and do axle stands and disconnect battery. Got back, lowered the car and connected everything, then started on the first try.. I had all the fluids changed a short while later. If you want to use rat poison, I suggest you find a place a distance away from the car and leave it there. As mentioned, the rat poison will attract the rats.. Just keep all windows closed and make sure all engine covers are in place. It will be wise to have someone turn the engine over every few weeks. Maybe 2 or so. There's a condition known as False Brinelling that occurs mainly due to seismic vibrations of the earth which separates the oil layer around the bearing metal components. After a while the bearing rests metal on metal that causes bearing damage because the oil layer (hydro dynamic layer) gets forced out. (13-02-2019 10:22 AM)husaindindar Wrote: It will be wise to have someone turn the engine over every few weeks. Maybe 2 or so. Ideally. you pull the ignition fuse and just crank the car without spark if you wanna mitigate that kinda damage to the engine. I would be more than happy to pick it up in Musina. Just a thought but will adding octane booster/fuel stabilizer not help with the gas going bad? Everything above that was said is sound advice. I am in and out the country for months at a time and my M3 sits in a garage with a cover, disconnected battery and on jack stands. My last stint was in the USA from June until December. When I get back, I am greeted by a car that is protected from dust and other elements, it is clean and starts first time once the battery is connected. Regarding the use of jack stands, they are a good idea. My first long trip away saw me never having the car on jack stands, and I came back to find all four tires deflated. After filling them up, they would slowly deflate again over a week, so my guess is they were all damaged from the weight of the car just sitting on them. Unfortunate lesson. CP forged pistons 87.5mm, HPF Crower titanium forged rods, ARP L19 head studs and rod bolts. Vac Motorsports oil pump internals. Vac Motorsports inconol racing valves. Vac Motorsports coated Main end and rod bearings. I still have space in my garage for two more cars. I must take it for a drive this weekend to keep the battery charged. thanks for all the advice guys, much appreciated. sorry for the radio silence.. i have had a tonne of admin to get through before i leave in a few days! confirm with the jackstands, i need to use the four jacking pads on the car? All advice given above seems to be good advice but if it was me , in all honestly 4-6 months isnt that long a time , cars sit for longer in various yards before being sold and shipped around . I would personally , just fill up the tank ( Maybe add a fuel stabilizer) , Put the car on Jack stands to protect the tyres and Disconnect the battery . 4-6 months is not that long for a car to be parked off . If its parked outside , maybe invest in a good quality car cover , cover the seats and such as well to prevent heat damage (even though I would have the cover on , I would still do this) and spray some rat and mouse repellent around the car and in the engine bay . I think Liqui molly sells the stuff and its not that pricy. (20-02-2019 06:20 PM)kilotango Wrote: thanks for all the advice guys, much appreciated. sorry for the radio silence.. i have had a tonne of admin to get through before i leave in a few days! you get flat spots on the tyres. its 4 points..chassis will be fine. I am sure it must have been a joke. LPR shouldn't be confused by the color, it just looks for letters of a certain size and then records it. Yellow is enough contrast against black letters. Unless @Dirtydeedsman know something we dont! @Dirtydeedsman there you go bru. i gave it wash this morning... then i'll disconnect the battery and then cover it just now.